ASOIAF & LOST, similar shortcomings? | The Cesspit. ASOIAF & LOST, similar shortcomings? Just some superficial comments, as I’m far behind reading ASOIAF while still following how the opinions develop on the internet. One reason why I appreciate ASOIAF without being a huge fan is because it’s to my eyes limited in some way. I recognize the mastery of the craft of writing and plotting, but it’s as if this craft is not in the service of something worth it. As if the pagecount is proportional to skill, but not to ambition. A great story, a great experience, but lacking a certain purpose or absolute necessity. It lacks a dimension. All this contained in its structure. A song of ICE and FIRE. But five books in, the Winter is still coming. Fire and ice have yet to meet. What is at the periphery is still there, creeping in but still away. There’s lots of plot, but it’s like suspended in a stasis, with only the illusion of movement. And in two books all this is supposed to come in with a bang and then be resolved. It has yet to begin, but it’s already almost over. A very, very long prelude. A step further, it seems to me that Martin doesn’t know what to do with the more “fantasy” elements of the story. They are atmospheric but not meaningful or done in an interesting way. Not dealt up to their potential. I’ve read the Prologue of ADWD because it received specific praises and was a self-contained story, but I didn’t find any particular inspiration in it. From the beginning, and with a precise intent, Martin has kept these fantastic elements subdued. They were only a spice, adding a certain flavor to the real meat of the story, which was about intrigue and family matters. But as the focus is supposed to shift, those “fantasy” elements don’t seem to be hiding a greater depth, and the story loses its steam. 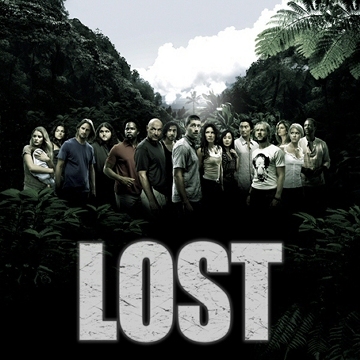 Specifically about LOST what got my attention is trying to narrow down how mystery and mythology can be done well. From my point of view LOST finale was met with some disappointment because of a focus shift. It started in season 1 as an mystery/horror, then moved to mystery/sci-fi/pseudoscience and finally “dropped” its mythology to go fully mystic. The first transition worked, the second didn’t not go equally well. The fact is that LOST in the beginning kept the people watching because it had a good rhythm and tension. It wasn’t the good ideas that kept the audience, but the execution. In fact I believe pretty much everyone started watching feeling quite skeptical. It then “earned” some faith as it started to give the illusion that everything that was shown wasn’t random but part of a cohesive vision that could eventually make sense. A vast, intricate mythology/puzzle that would give an unitarian vision to the disparate parts. While, with the last season, this huge mythology was essentially put on the sideline as if it became suddenly superfluous and uninteresting. In that way, it betrayed some expectations. So what is that “worked” and that then didn’t live up to those expectations? From my point of view it’s about the core idea of the “hatch”. The “hatch” represented a pattern of mystery and mythology done 100% successfully. It felt compelling and satisfying. Opposed to the later developments that instead felt dry. The distinction between mystery done well and it being disappointing lies on whether or not it opens a window on a new scenario. The hatch is a good example because it became the pivotal axis of the first season. Everything revolved around that big mystery, and people came back for the second season to finally see what was beyond that hatch. A door opening onto something. An hole in the veil of mystery. The revelation did not disappoint. Why? Because it wasn’t a dead end, but it lead up to disclose a big new dimension of the mythology (The Dharma project and all it contained). The mystery felt compelling and satisfying because it branched out, it was a seed for something far greater. A box to open to discover a new world. Back to ASOIAF, so I can make the link. What characterizes this series are the shocking, unexpected events, like a certain death in the first book, which remains like a signature. Yet that specific event “worked” not simply because it was unexpected and shocking. There were two main reasons why that specific event was so successful: (1) because a “way out” was already explicitly traced and readers believed it logical and true, a plausible development. The shock arrived because the death wasn’t the culmination of a scene filled with danger, but because it arrived once the danger felt already behind. (2) Because that death wrestled the plot in a whole new direction. It works because of mind-boggling consequences and repercussions it has on every level (characters and plot). It “opens up” instead of being just a dead-end and miserable death. It’s not a conclusion, but the true starting point. It becomes the spine of all that follows. So there are these similarities between the successful (and unsuccessful) mysterious/mythological aspects of LOST and the successful (and unsuccessful) unexpected turns of plot that keep readers reading ASOIAF. The mystery/revelation chain works when it becomes a seed delivering a greater picture. Or comprehension that unifies disparate pieces of the puzzles. Same as in ASOIAF where it’s not an unexpected death to be compelling, but how the reader is directly engaged with its consequences, the opening and closing of possibilities. If someone tried to replicate the success of ASOIAF following the widespread idea that “no one is safe”, then he’d only end up in failure. Because what works isn’t in that pattern of simply doing something unexpected, but in giving the new perspectives and knowing how to kick the story up to a higher level. 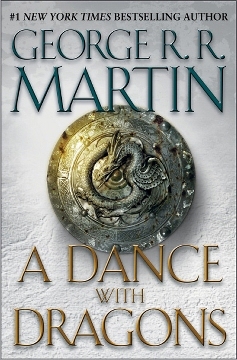 One wonders if Martin knows, with two books left, how to close the story in a meaningful way as he was able to do with its beginning, instead of being squeezed in that pinch made by fire and ice, that seems to have no real way out.